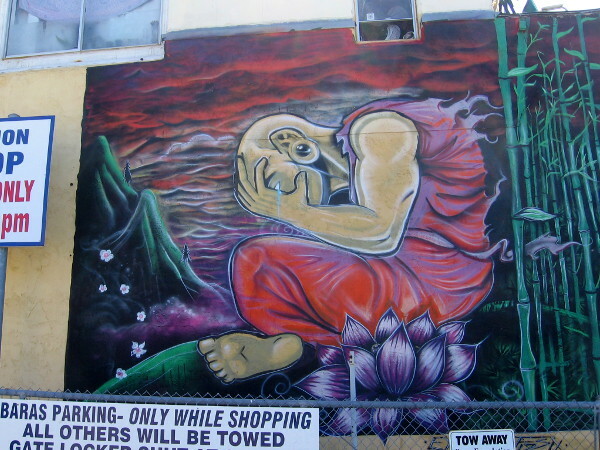 Photos of street art on University Avenue in Hillcrest. – Cool San Diego Sights! 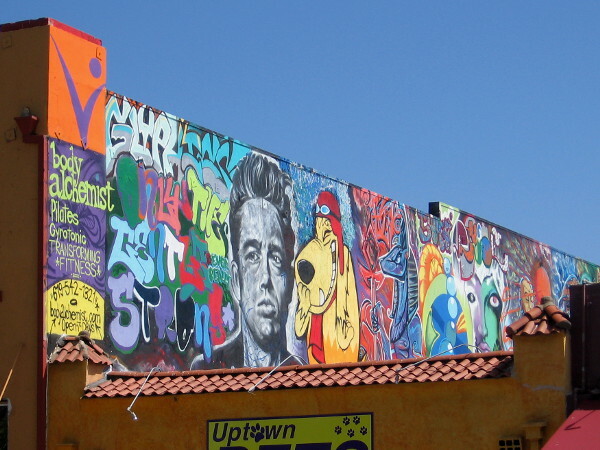 Photos of street art on University Avenue in Hillcrest. 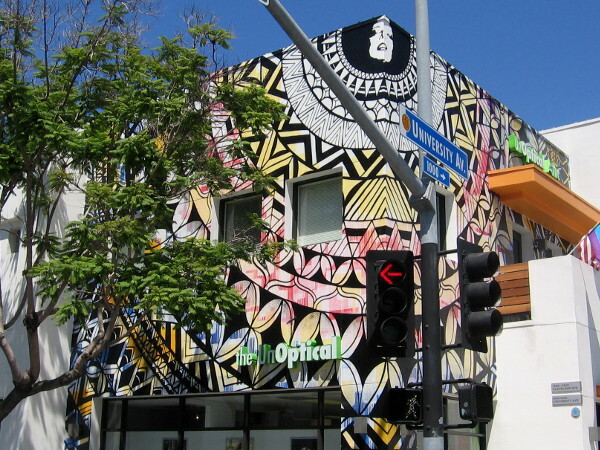 Super cool street art on side of building on University Avenue in Hillcrest. 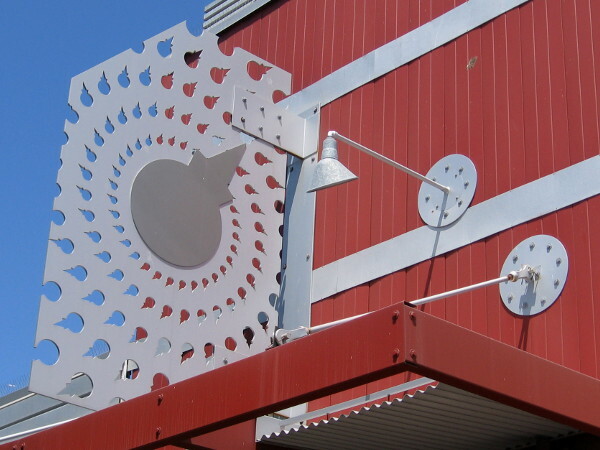 I don’t know if this qualifies as street art, but I like this cool Jack in the Box sign. Exist1981 street art on a corner of University Avenue in Hillcrest, San Diego. 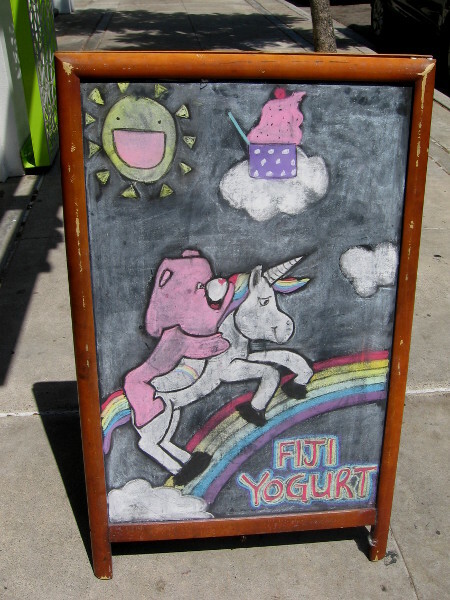 Fun chalk art sign in front of Fiji Yogurt. Long blue hair becomes ocean surf. 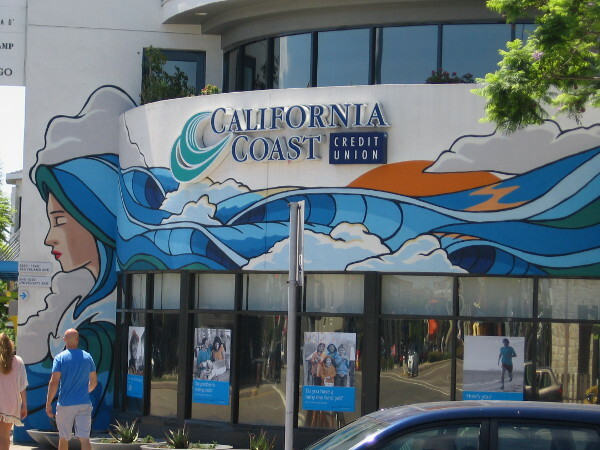 Artwork painted on California Coast Credit Union. 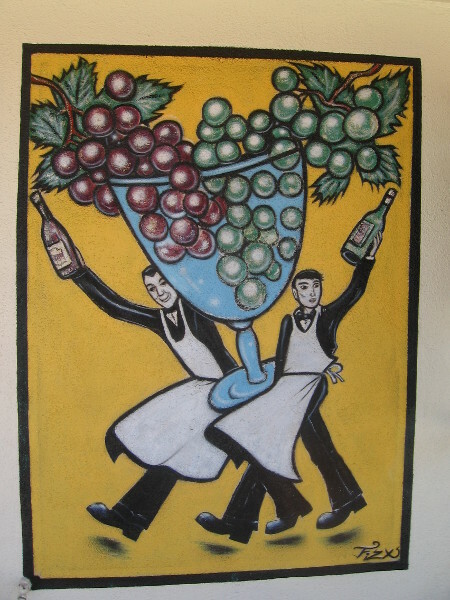 A colorful image of wine and grapes seen during a walk through Hillcrest. 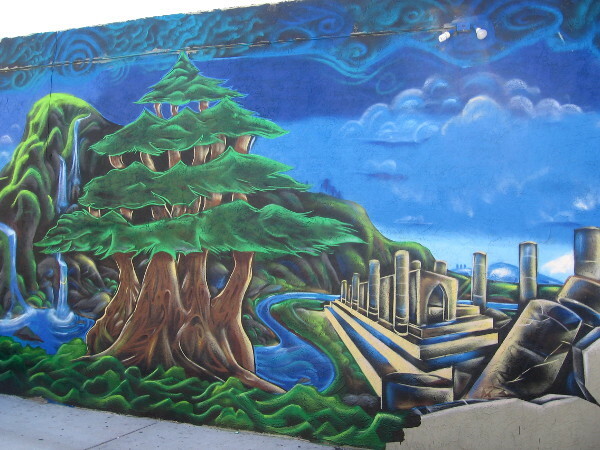 More cool street art in Hillcrest has a mythical, possibly Egyptian appearance. 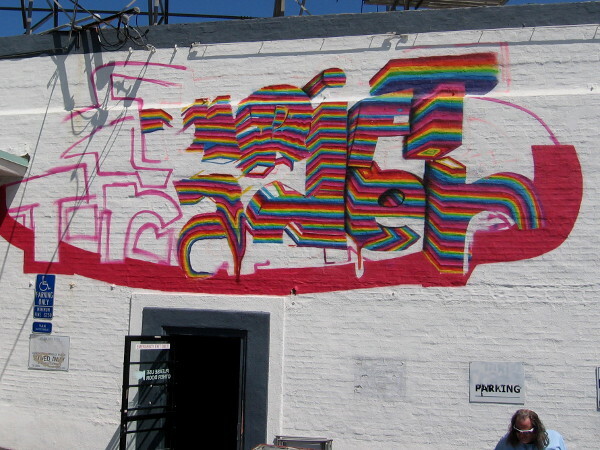 I was told by a worker at this thrift store that the rainbow-like mural is a work in progress. 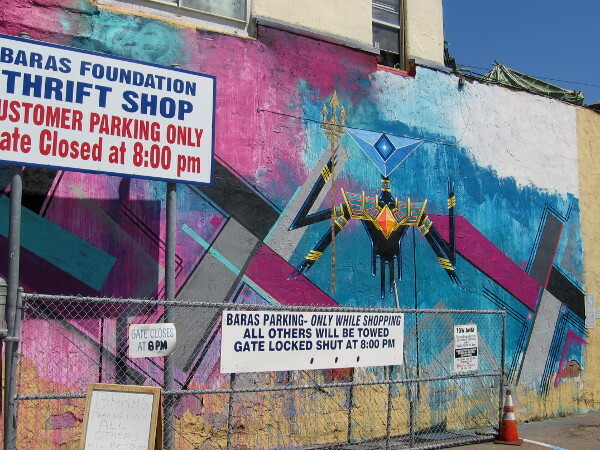 This large bold spray paint mural on University Avenue is signed by artists Fizix, Revolver, Eyemax 2015. This is the best photo I could get of a really long colorful mural along a rooftop. I see James Dean and Muttley! 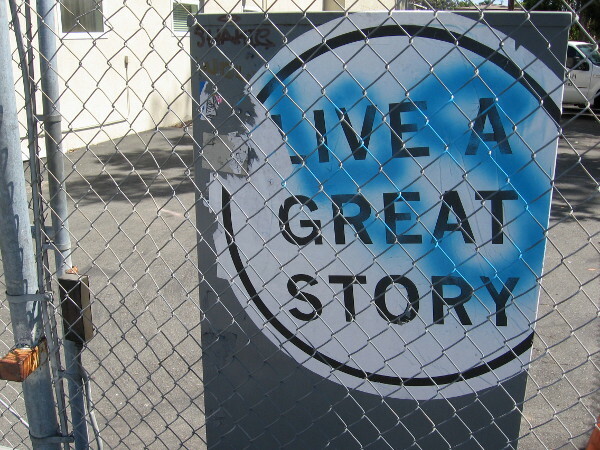 Live a great story. Sticker on a utility box. 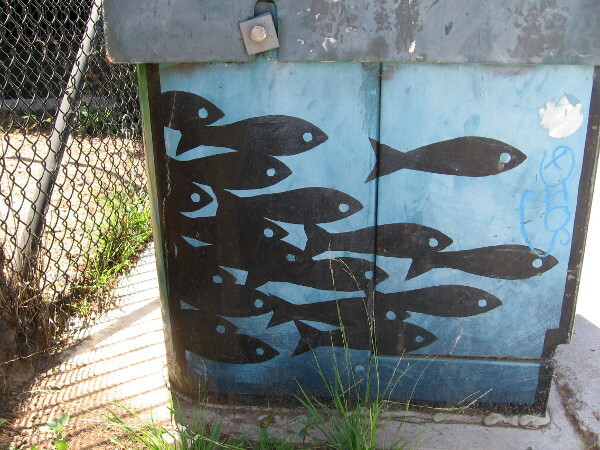 A school of fish on an electrical transformer box. A windtorn mountaintop meditation, face in hands. Just beautiful. It must have been a great experience capturing all those images! As I recall, it was a very pleasurable walk! What a amazing art on those buildings, such a nice looking place t wander around for a stroll. Like the school of fish on the transformer box, clever to make something so ordinary look so brilliant! What amazing art. 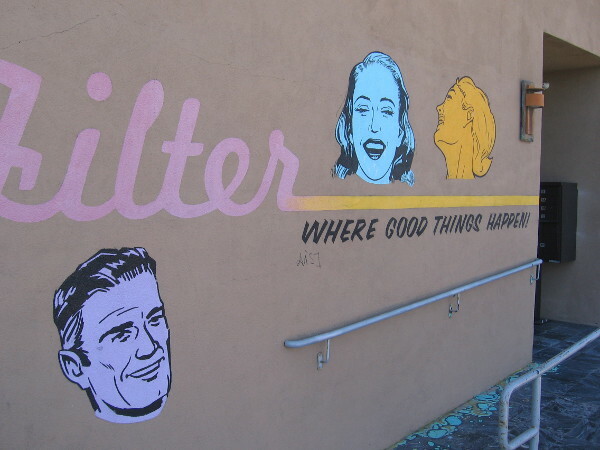 I love the randomness of street art. Me, too. There’s a huge variety, and you never know what you’ll see next! They’re all so creative, but I like the Fiji Yogurt best. Thanks for these great photos, Richard. I love the range that you include, rightly seeing it all as street art — it is after all art, in the street — everything from that sensational corner wrap-around to the Fiji Yogurt sidewalk sign. A treat! That’s exactly the way I see it! 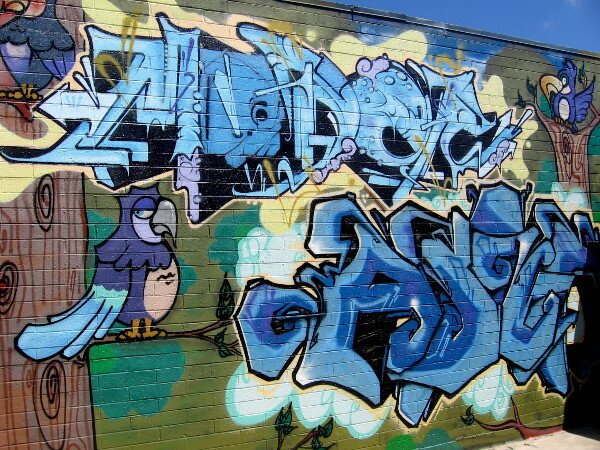 Pingback: Cool comic book and superhero street art! – Cool San Diego Sights! Previous Previous post: Life in 1865 at Old Town’s Mason Street School. Next Next post: Unusual new public art at Little Italy trolley station.